Available in a wide range of colours to suit your space, this Sandusky Classic Series Storage Cabinet is great for your garage, office, classroom or warehouse. Offering generous storage for items such as cleaning, office, school or automotive supplies, it features a 3-point locking system that includes a door latch and two vertical rods to ensure the contents remain safe and secure. This customizable solution features four fully adjustable shelves that can be moved in 2-inch increments and support up to 200 lbs. each. Organize your home office with this inviting Folio cabinet from the CorLiving Collection. This practical item is featured in our Black Espresso faux wood finish and is accented with imitation Antique Nickel hardware. The cabinet offers plenty of room to store paper work, hide a laptop and has a lock for security. It is designed to accompany any of the CorLiving WFP Warm Oak office products. The perfect practical addition in your home office offering great value. 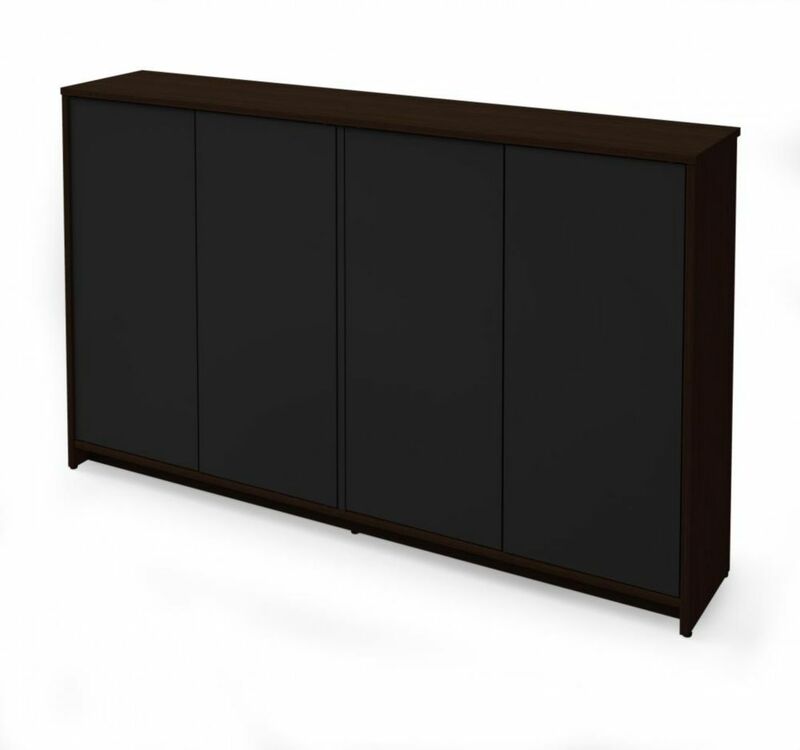 Small Space 60 inch Storage Unit - Dark Chocolate & Black Within a compact space, choosing the right pieces of furniture is crucial in order to feel relaxed and comfortable. Maximize every square foot of your room with Bestar's Small Space units! Durable commercial grade top surface with melamine finish that resists scratches, stains and burns. The top surface is 11= inch deep. 4 adjustable shelves to maximize your options. Assembly Required.